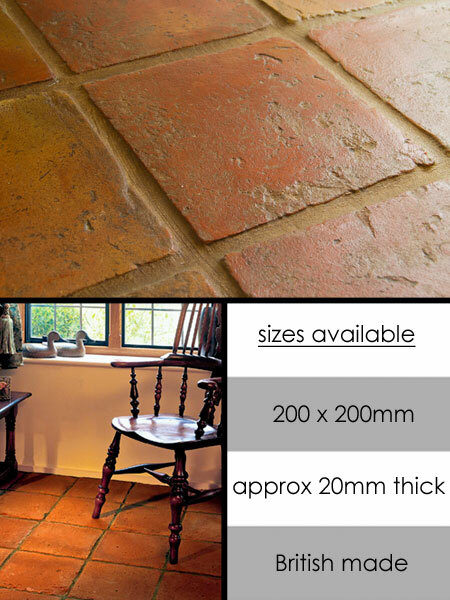 These handmade terracotta floor tiles with their distressed aged surface, soon produce an authentic original antique floor after installation. * English made terracotta tile. * Terracotta tile size 200mm x 200mm. * Terracotta priced in m2. * Prices exclude shipping @ £60 + VAT.